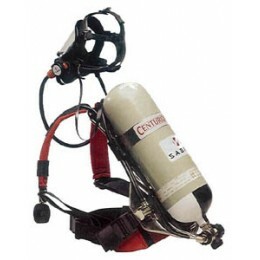 The Sabre Centurion SCBA sets the target for performance, reliability and ease of maintenance. The Centurion is ideal when working in hazardous atmospheres such as those found in confined spaces which require a self contained source of breathable air. This unit is supplied with a Scott Panaseal Full Facemask and a 30 Minute Steel cylinder.